Investing: Where are consumer stocks headed? This article first appeared in Personal Wealth, The Edge Malaysia Weekly, on July 30, 2018 - August 05, 2018. The improving economic outlook and job growth data are expected to fuel consumer spending globally. This will benefit the consumer sector, particularly the more cyclical consumer discretionary stocks as well as companies that are ahead of the trend in capturing the online and millennial markets, say experts. “Consumer sentiment across the US, Europe and Asia is hitting record highs. Despite the macro uncertainties, we have yet to see impact on the consumer sector,” says Eliza Ong Yin Suen, managing director and regional director of RHB Asset Management Sdn Bhd. RHB Asset Management has a leisure, lifestyle and luxury fund that tracks trends in the consumer discretionary sector. Consumer sentiment in the US reached a record high earlier this year, according to various reports. However, the Conference Board’s June data declined slightly due to concerns about a possible trade war between the US and China. Meanwhile, China saw its Consumer Confidence Index hit its highest score in a decade during the first quarter of this year, according to a May report by Nielsen. “Stocks of companies retailing consumer discretionary items such as durable goods, apparel, entertainment, travel or tourism and cars tend to outperform the broader market due to rising demand for their products and services, as consumer spending picks up on the back of an improving economy. On the other hand, consumer staple stocks tend to perform in line with the broader market as demand for consumer goods such as food and beverage and household items is envisaged to remain stable during periods of economic recovery,” says Public Mutual Bhd CEO Yeoh Kim Hong. In response to the improved global and regional economic outlook last year, the company’s Public Far-East Consumer Themes Fund (PFECTF) allocated more than half of its equity investments to cyclical consumer discretionary stocks. Up to 40% of its net asset value is in China and Hong Kong markets, according to its fund fact sheet dated Dec 31, 2017, followed by 23% in South Korea. Over the past year, the fund has seen an average return of 20%. “PFECTF’s performance was underpinned by growing demand for higher-quality consumer products and services in Asia-Pacific markets amid rising disposable incomes in the region,” says Yeoh. Both the consumer discretionary and staple sectors currently demonstrate earnings growth potential, Ong and Yeoh observe. The MSCI ACWI consumer staples index had fallen 5.77% year to date (as at June 29) while the MSCI ACWI consumer discretionary index had risen 4.27%. Some of the earnings drivers Ong observes are in the proliferation of online payment methods such as mobile payment and internet finance. “Globally, the trend of online versus offline consumption continues to play out. You can see that companies such as online retailer Amazon are capturing market share from the likes of Zara or H&M, which represent bricks-and-mortar businesses. This trend is here to stay. We like companies that can transform themselves and start gaining sales from their online strategies,” she says. Another growth driver is the demand for quality from consumers in China, where companies in healthcare, education and tourism will benefit. The RHB fund saw a return of 6.63% last year (according to its fund fact sheet in July), compared with its benchmark’s return of 11.31%. Up to 41.6% of the portfolio was in consumer stocks such as airlines and other service-related companies as well as internet players. Another 21.8% was allocated to consumer products such as luxury goods and carmakers. The fund’s top holdings were Indonesian department store chain Ramayana Lestari Sentosa, Alibaba Group Holding Ltd and Italian luxury goods company Prada SpA. “In terms of geography, we like China as a multi-year growth story for the consumer sector, which is supported by the bottom-up analysis. 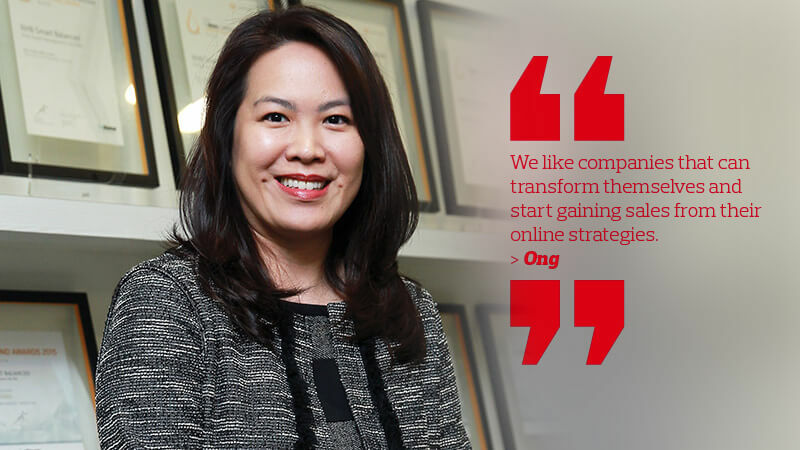 The US also has good potential due to its good equity base of internet-based companies,” says Ong. Up to 35.1% of the fund’s portfolio is in the Hong Kong market, followed by close to 20.7% in the US. In Yeoh’s opinion, both Generation X and millennials will drive several trends in consumer stocks globally. This includes higher demand for healthy F&B goods and active lifestyle products and services. “There will be more sophisticated consumer electronic products for use in daily life as well as consumer products that are environmentally sustainable, amid the rising awareness of environmental protection among consumers,” she says. Will the buying spree last? The healthy economic outlook has seen central banks hike interest rates. But the impact of higher borrowing costs is not expected to hurt consumer spending, unless much of the consumption is fuelled by debt, says Pong Teng Siew, head of research at Inter-Pacific Research Sdn Bhd. The rising interest rates are also not expected to have a major impact on the profits of consumer companies so long as they have good cash flow and low leverage ratios. “The indirect way in which higher interest rates can affect consumer spending is from the wealth perspective, mainly from the impact on property prices. Higher interest rates tend to depress activity in the property market. That means people who felt wealthier as a result of higher property prices may feel more constrained in their spending habits,” says Pong. Instead, consumer confidence will be the key determinant of how consumer discretionary stocks will perform. Rising interest rates and inflation should have less of an effect on the consumer sector compared with wage growth, Ong points out. Meanwhile, consumer staples will continue to see a stable performance due to the relatively inelastic demand for consumer goods. “In an environment of rising interest rates, the performance of consumer discretionary stocks will depend on the overall strength of the economy as well as the purchasing power of consumers. If consumer confidence and purchasing power remain firm during periods of rising interest rates amid a strengthening economy, the demand for consumer discretionary goods is expected to remain resilient. However, if consumers’ purchasing power weakens, the demand for consumer discretionary products is expected to decline,” says Yeoh. Several consumer stocks on the local bourse have seen higher valuations over the past year while the Bursa Malaysia Consumer Index has outperformed the FBM KLCI since the start of the year. For instance, Nestlé and Fraser & Neave have recorded a year-to-date return of about 44.2% and 39.6% respectively, with a price-earnings ratio of 42 times and 27.6 times as at July 24. The Consumer Index has a PER of 29.8 times. According to the Malaysian Institute of Economic Research, the consumer sentiment index has been improving since the third quarter of last year and finally breached the 100-point optimism threshold in the second quarter this year. The recent performance of consumer stocks in the country has been largely influenced by the uncertainties in the run-up to the 14th general election as well as post-election policies. In the run up to the election, the Consumer Index rose 5.1% compared with the FBM KLCI’s 2.8%. After the election, the Consumer Index increased 14.5% as at June 14 while the FBM KLCI fell 2%, says Yeoh. “This was attributed to investors rebalancing their portfolios into the more defensive consumer sector as the zero-rating of the Goods and Services Tax (GST) effective June 1 was expected to shore up consumer spending and underpin revenue and earnings growth of domestic consumer companies over the long term,” she adds. Nabil Fikri Zainoodin, consumer analyst at MIDF Research, believes that managed fuel prices, the abolition of GST and targeted subsidies will provide a short-term boost for consumer product companies in Malaysia. But the long-term view will depend on more clarity on the government’s fiscal position. Due to these factors, any possible impact from rising interest rates remains muted for local consumer stocks. But even if there were a rate hike, the companies would be able to withstand it, says Nabil. The last time Bank Negara Malaysia raised the overnight policy rate was in January. “On average, consumer companies have a debt-to-equity ratio of less than 35%, which is quite healthy. From a pure risk perspective, ratios of 40% or lower are considered better debt ratios,” says Nabil. Ong regards the gains in the consumer sector as part of post-election sentiment and does not see many catalysts in the local market for the RHB fund. Meanwhile, Pong observes that the tendency for Malaysian investors to seek consumer stocks as a defensive play has driven up the valuations of consumer stocks to unhealthy levels. “The earnings or valuations do not really support much more upside for consumer stocks. You have to recognise that consumer spending has been weak in Malaysia, so people went into consumer stocks despite the fact that consumer spending is weak simply to seek shelter amid weak stock market performances elsewhere. That does not seem to be a very convincing way to structure your portfolio allocation,” he says.